As any seasoned cocktail lover knows, different seasons demand very different drinks. Luckily, that is a truism that’s helped along by the city’s many talented bartenders, who are always creating new things to drink. Maybe you just want a nouvelle margarita, have been really into caipirinhas lately, or are an open book — as long as it’s a little tropical. Here, 13 new drinks to help ease you into Memorial Day weekend and beyond. The most distinct ingredient in this cocktail is the Roots Mastic liqueur, which lends a floral, piney aspect to the bourbon, Aperol, and orange drink. Caipirinhas are a drink you try one particularly sweltering summer day, and find so refreshing that they’re all you think about drinking for several months. At the new rooftop bar from Miami, they take the Brazilian classic, give it a chile-salt rim, and sub in preserved limes, making it fruitier and less acidic. 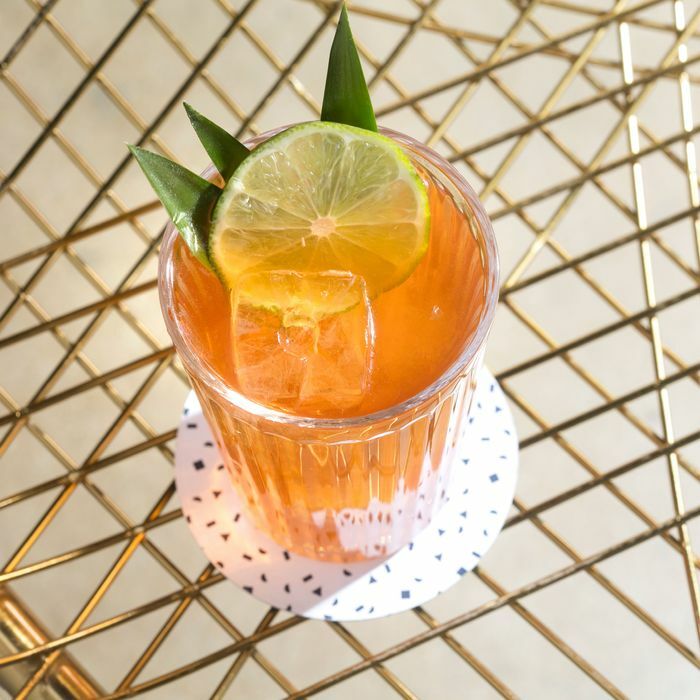 The owners of this new Bushwick spot call it “a church of rum,” and for this Jungle Bird riff they’ve mixed a blend of four rums with bitter Cappelletti and tropical ingredients like pineapple cordial and tart hibiscus-rooibos soda for bubbles. What better drink for a backyard barbacoa than a frozen, like this one made with tepache and espadin tequilas, and amaro, a killer secret weapon for frozens. In this case, Cappelletti’s rhubarb-based Sfumato. The mellow French apple brandy becomes dangerously drinkable when mixed with bitter tonic. Served over ice at Frenchette, it has none of the edge of a gin-and-tonic, but is just as refreshing. Get your tequila and mezcal, too. 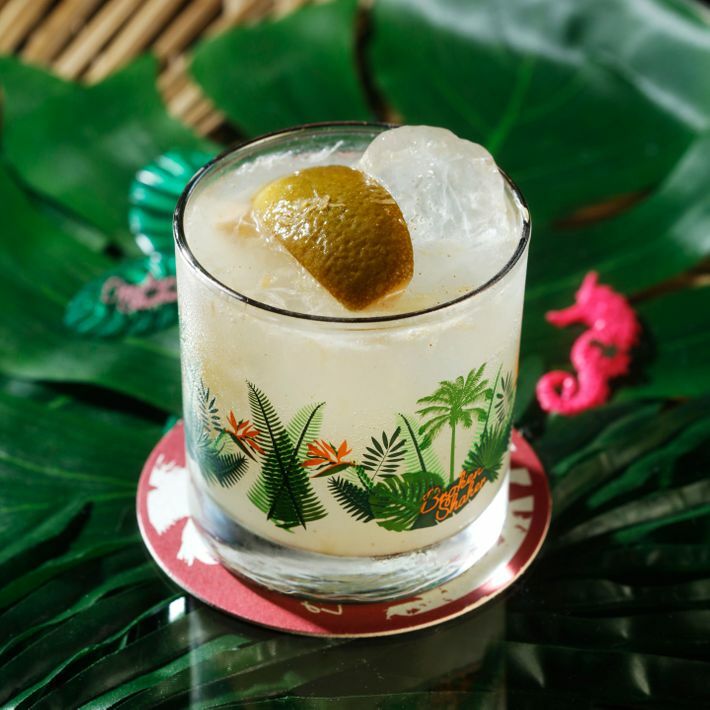 For this drink inspired by the singer Chavela Vargas, they mix both Mexican spirits with sweet Amaro Averna, lemon and lime, licorice-y Batavia Arrack, banana liqueur, and caramelized pineapple for a deeper flavor. You could have a drink at the beach — you know, slip a cooler of margaritas in with you — or you could drop by Manhattan’s premier restaurant-on-a-boat. If you’re tired of your gin-and-tonic routine, try this drink of gin bolstered by some great bedfellows: absinthe, elderflower-based St. Germain, lime, and cucumber. Whiskey and apple make for a refreshing tandem, even more so when sweetened with Caribbean Velvet Falernum and given a shot of spice and herbaceousness via ginger and the liqueur Genepy. One of the unofficial drinks of summer, the Aperol spritz, is tweaked but not overcomplicated with citrusy bergamot and rose-petal liqueur. Okay, it’s not new to the menu, but it’s back for the summer. The lowbrow favorite of uncles everywhere: the frozen banana daiquiri, complete with a rum floater. At this Bed-Stuy sports bar from the owners of the rollicking Lovers Rock, they’re serving drinks like this mezcal concoction with fruity crème de pêche, lemon, orange, and spicy Peychaud’s bitters. The restaurant formerly known as El Atoradero has a new bartender in Artemio Vásquez (PDT, Pegu Club, and others), whose new drinks will debut Thursday. The margarita variations include this one of mezcal with lime, and the unusual additions of raspberry, Lustau sherry, and Giffard Crème de Mûre, a blackberry liqueur. Summer is for berries, but why stop at the plate? A recently opened backyard and newish pizza menu are two good reasons to stop by this Clinton Hill bar with underrated cocktails. Another is this souped-up mojito, made mintier with Branca Menta and spicy with white peppercorn.